Having thin, fine hair can definitely feel like more of a curse than a blessing. All you want, more than anything in the world, is to not have this darn thin hair. It always seems flat, dull and boring. You can never find the right style to roll with and that can be frustrating! But having fine hair doesn’t have to be the end of the world. 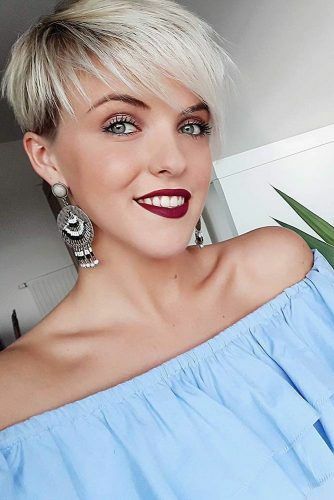 You can turn your frown upside down by picking out the right haircut and style to truly make than hair go from looking thin to looking thick and vuluptuous (even if it isn’t!). We know that seems impossible. But we are here to tell you- IT’S NOT! Say bye bye to your fine hair and get looking now! You are most definitely going to see A LOT of bobs on this list. Why? 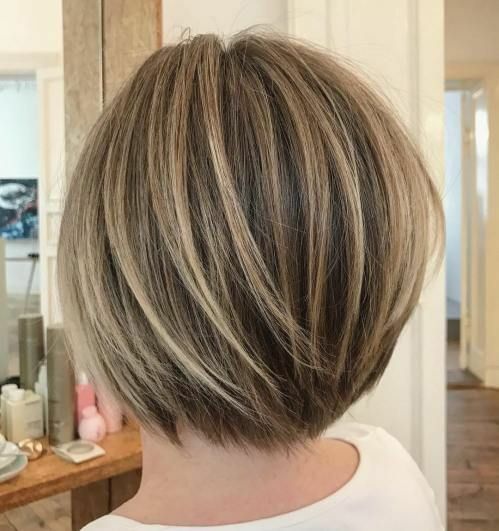 Because bobs are the perfect optical illusion when it comes to having fine, thin hair. 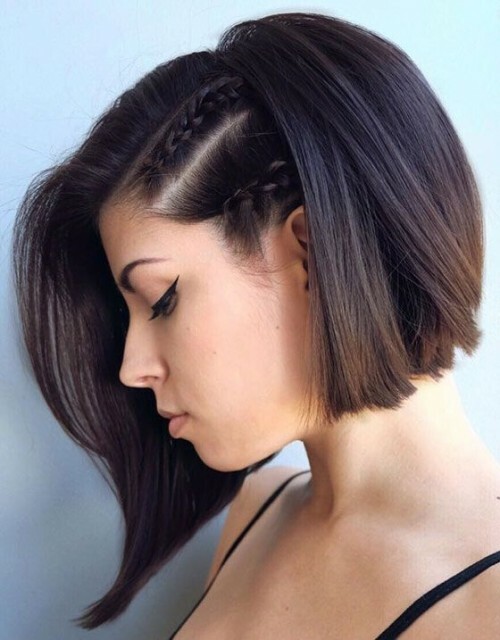 This hairstyle is popular among the fine hair community, because of the way it’s cut, it gives your hair just a little more volume. 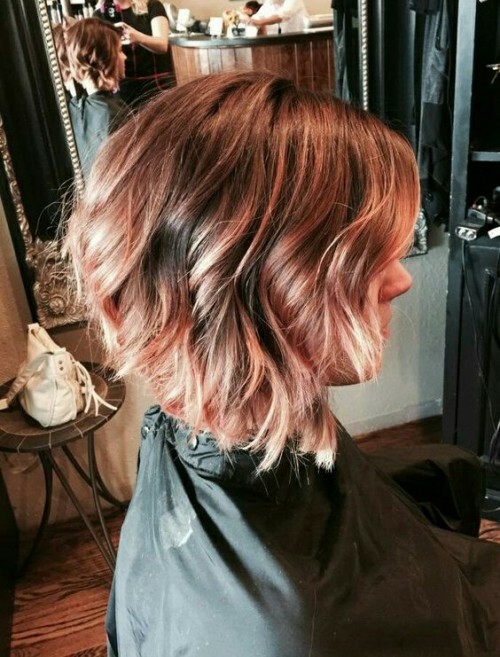 This rose gold color is HOT HOT HOT right now and we love it! 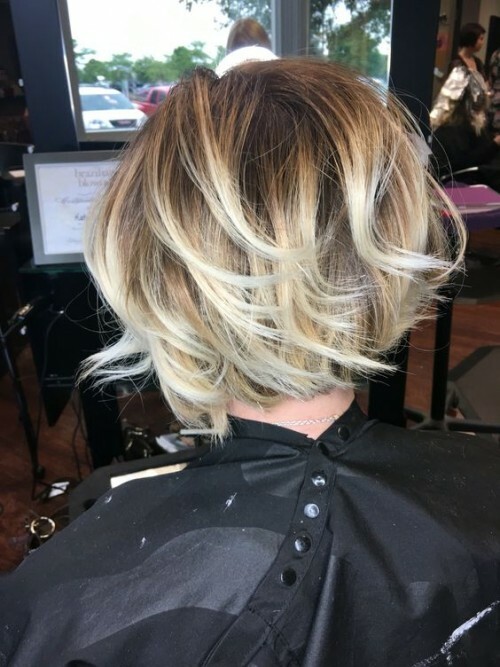 A bayalage is the perfect way to add some depth to your hair. It really makes it appear as if you have more hair than you really do. We think it’s a perfect fix for a fine hair sufferer and you will definitely look modern, as well as chic. You may not be a fan of blonde or light hair colors and that’s okay! 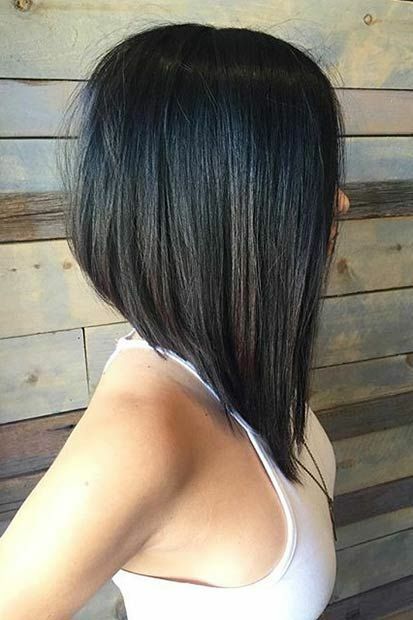 You could also try a dark bob with bayalage. It will give you the same effect, but add even more depth because that’s what darker colors tend to do! OR you could opt to have the best of both world. 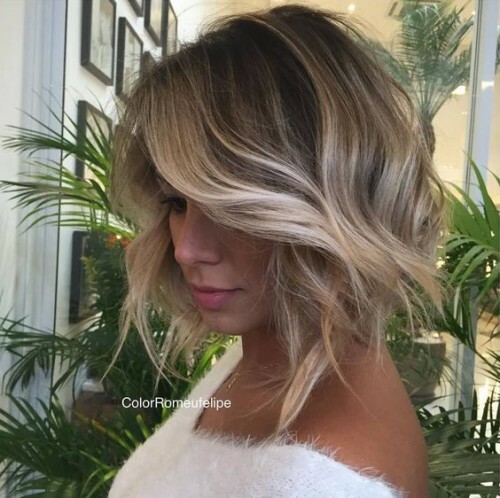 You could go for this lovely bayalage above, which is a mixture of both the light and dark colors shown before. Shaggy cuts are perfect for those of you out there with fine hair! 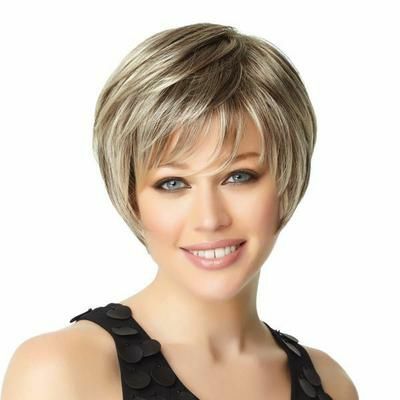 Shaggy hair has a lot of texture, which adds, what appears to be, thickness to your hair. 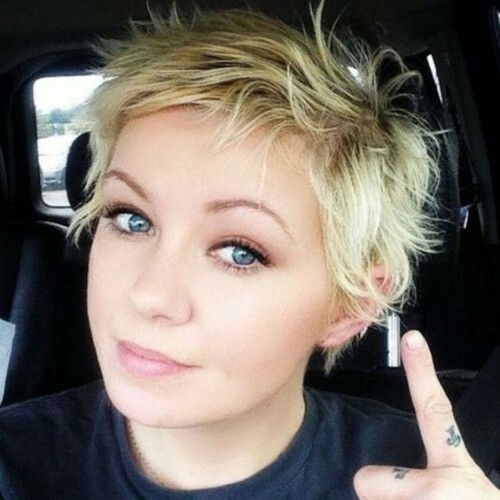 If you’re hair is superbly thin, you might want to think about going for short cut, such s a pixie! 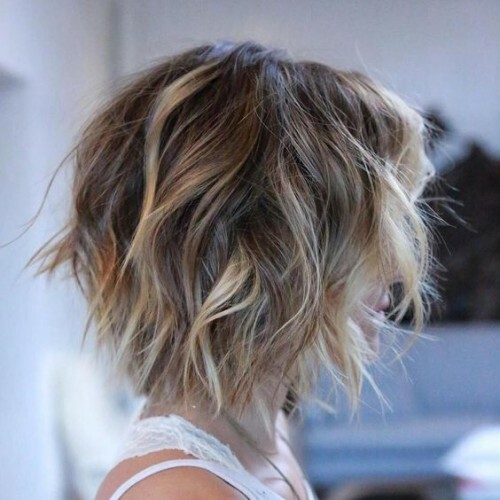 We said it before and we’ll say it again- Shaggy hairstyles are great for thin hair! It really does add the volume you might be looking for. It’s easy to maintain to, because, really, all you need to do is roll out of bed and tousle a little bit to get the desired effect! Maybe your more worried about length. 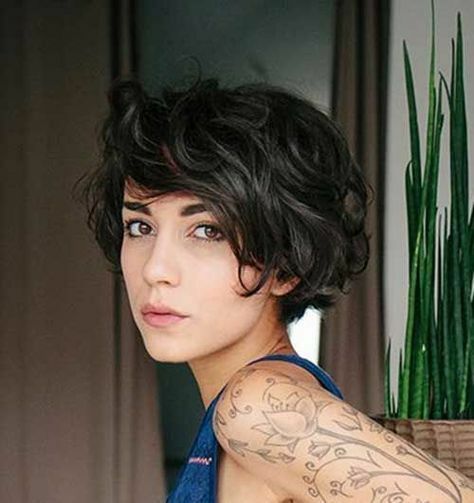 We would then suggest trying out a short shag haircut like the one shown above. No mess, no stress. Easy to take care of and it will give you all you need to disguise the fact that you have fine hair in the first place. 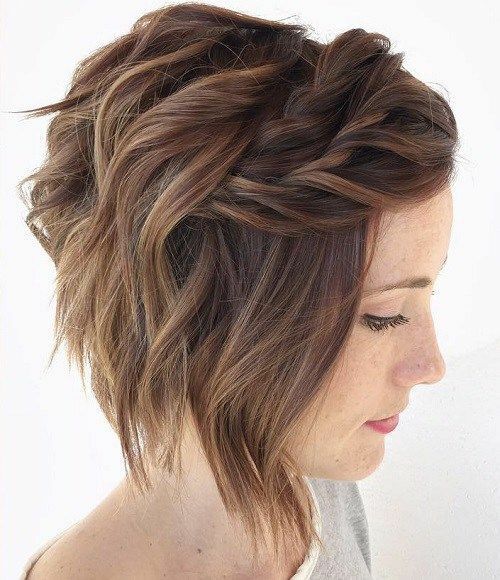 We absolutely adore this hairstyle! Curling your hair is a great way to hide thin hair anytime, anywhere. And pinning it up in a specific way will make it seem like you have so much more hair than you really do. It’s a perfect style for weddings and other such events. 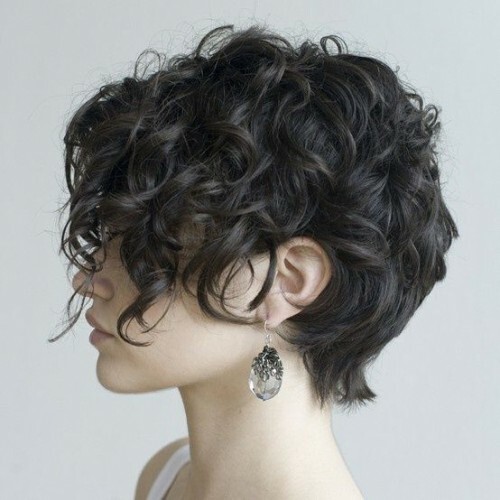 You might be scared of cutting your hair too short, in fear of it looking flat and boring. However, we have the perfect solution for that! Curled hair can work on long locks and short alike. 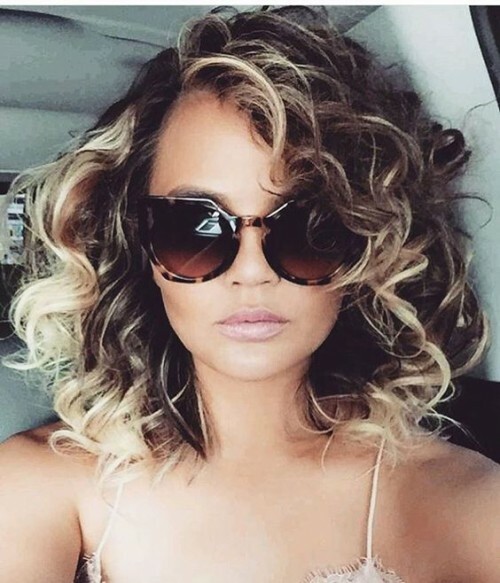 Curls will add a boost of thickness to your fine hair and have you feeling extra confident! Just because you have textured hair, doesn’t mean that you have the volume you want. If you have issues with your fine, thin hair we have a great option for you. 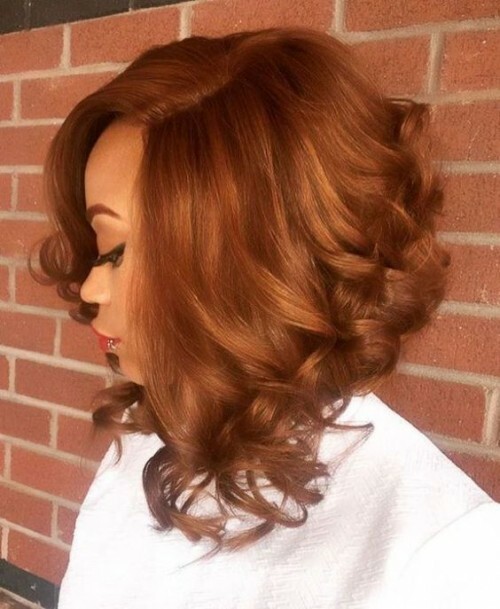 You can try out a curled bob! Want to take the extra step in ensuring that your hair is no longer fine looking? Do as Chrissy Tiegan did above and add highlights to your curled locks. This will add the ultimate depth! 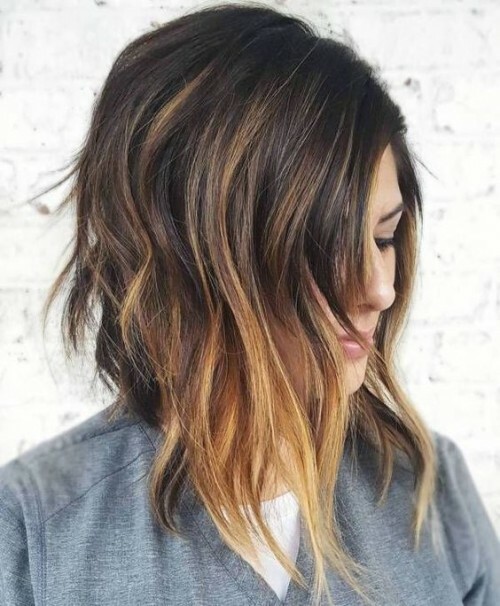 Layers are an awesome way to battle thin hair. Layers add more volume and depth to your hair than you can imagine. It’s an illusion of course, but one that really works! Also rockin’ a side part couldn’t hurt, could it? Bangs are a great way to draw attention away from the fact that you’re lacking in the thick hair department. Most people will look at those instead of scrutinizing the volume of your hair. And adding layers will help deceive them as well! You truly cannot go wrong with layers when it comes to this situation. Fine hair or not, if you are looking for volume, add layers. It’s as plain and simple as that! We promise! 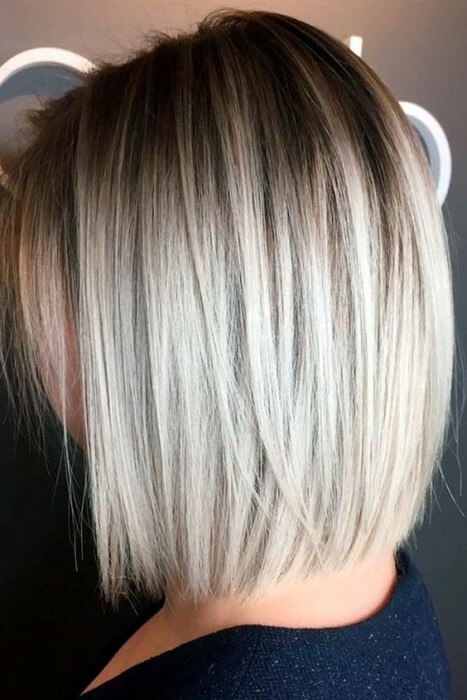 A sombre is a specific technique used when it comes to coloring hair. It’s up and coming and definitely trending right now. And it makes fine, thin hair look fantastic if you ask us! 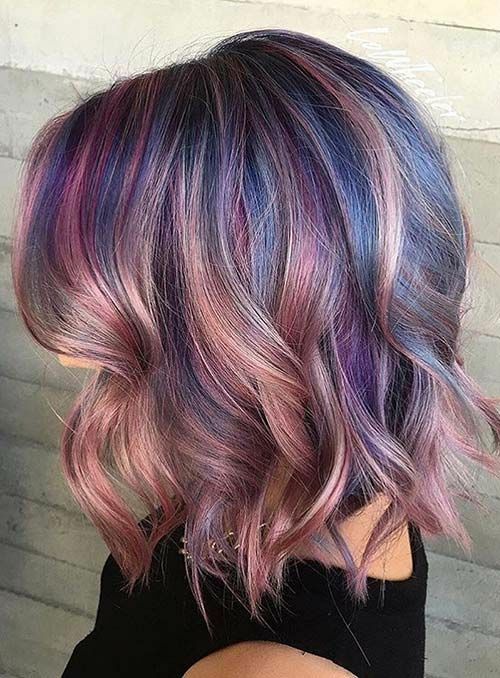 Ombre is another coloring technique often does by cosmotologists. And it’s more and more popular each day. We can see why! It definitely adds another layer of color that will thicken up the appearance of your hair. What’s not to love about this hairstyle? It’s going to kick that fine looking hair right into shape! 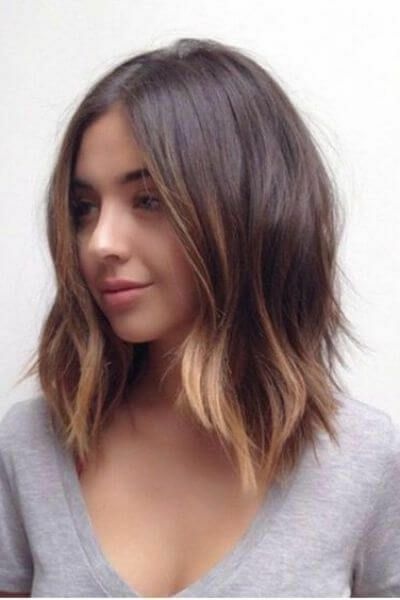 Bobs alone already add depth to your hair, but adding choppy ends will take the cake home and eat it! 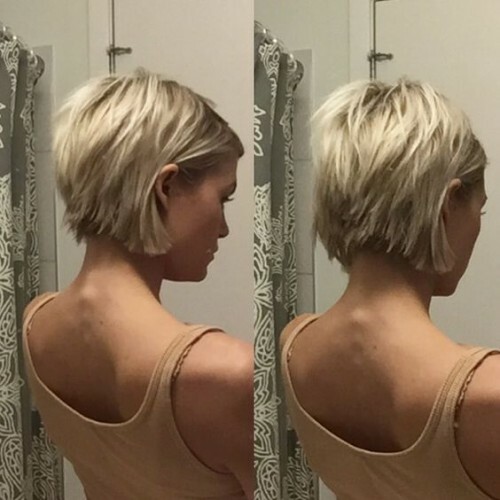 A-Line bobs are a good idea when it comes to tackling thinner hair. It starts long in the front and ends short in the back. It gives the illusion that you have more hair than you actually do. Which is exactly why we put it on the list of the 50 best hairstyles for fine hair. The shorter, the choppier, the better. That’s what we think when it comes down to it. This hairstyle is perfect for this problem and therefore why we just had to add it to this list! 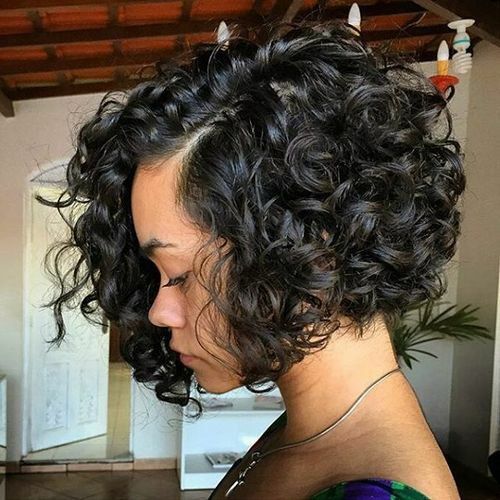 A curly angled bob might be the answers to your prayers. Just look at how much volume she seems to have added to her hair in the picture above. We are so for it right now! So you were born with thin hair. That’s just the way it is sadly. 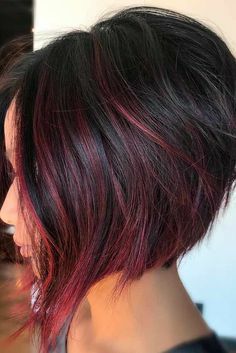 But you can do something special to draw the eye away from the thinness of your hair by adding in some color with a cut meant to help volumnize your hair. 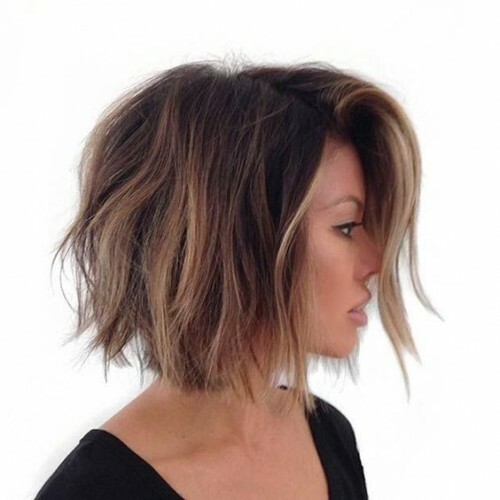 We warned you that we would be putting a lot of bobs on this list and we weren’t lying! 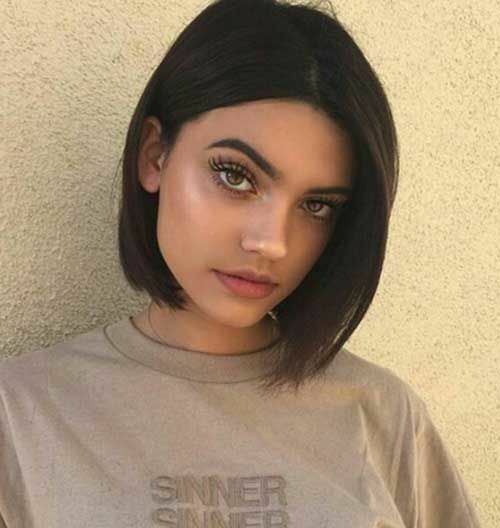 Bobs are a great solution for thin fine hair. 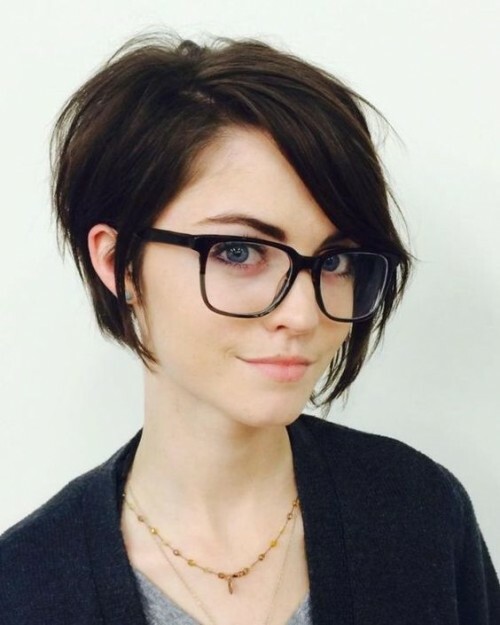 Especially shorter ones, because longer hair can definitely accentuate the fact that you have fine hair. But if you are simply not ready to chop everything off, that’s okay, too. You can head in the direction of something such as a lob. Which is a bob, but longer! It still has all the same benefits as a bob when it comes to dealing with that genetically thin hair on your head. But maybe even lob is too short for you. Or maybe it’s just not your style. If you want something with little more length, because you are more comfortable with it, try beach waves! Beach waves don’t take very long to achieve in the mornings when you start your day. And they give you the volume you need to hide your thin hair problem! Are you not scared of stepping out of your comfort zone? It’s only hair, right? It’ll always grow back! You can try out something edgy, like this undercut shown above! A shadow root will help add depth to your hair. Which might be exactly what you are looking for in this scenario! And adding a light vs dark color contrast can only help the matter! Blunt bangs are totally adorable and we just needed to add them to the list of the 50 best hairstyles for fine hair. They sure do make her hair looker thicker than it probably actually is, don’t they? They will do the same for you! You can tell that the above model has fine hair, but she is totally rocking it and looking amazing because of the wavy style she is sporting. A fade is a style of cut that keeps the sides shorter than the top. So it will definitely be hard for anybody to tell whether you have fine hair or not, because the top will appear thick. Length is a super important factor when it comes to dealing with fine hair. And color, too. It’s important to choose a length and color that help give you more depth and texture. 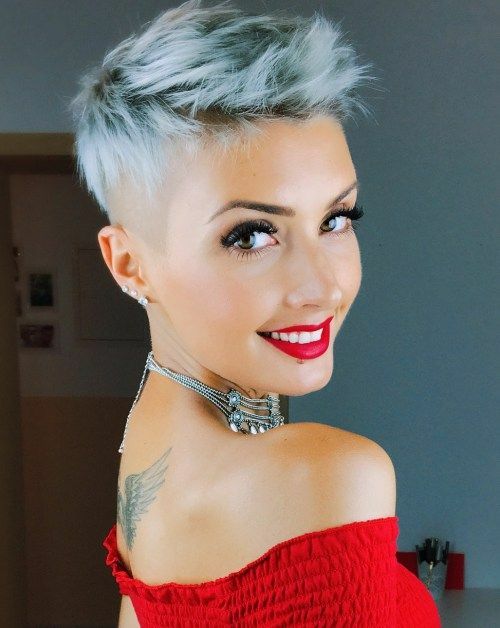 This colorful pixie is so cute, stylish and fun! 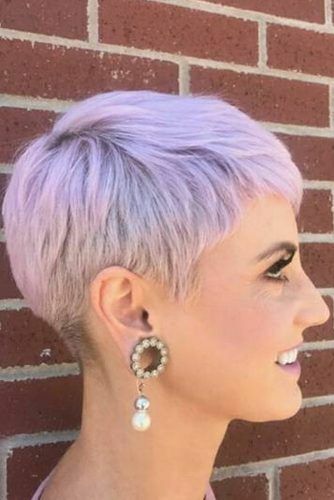 We love that this model was thinking outside the box when it came to fixing her fine hair problem! Maybe you aren’t looking for total makeover. The good news is that you dont’ have to chop your hair off to hide the fact that you have thin hair. Try a hairstyle like the one shown above and find you’ll hide that issue with no problems! 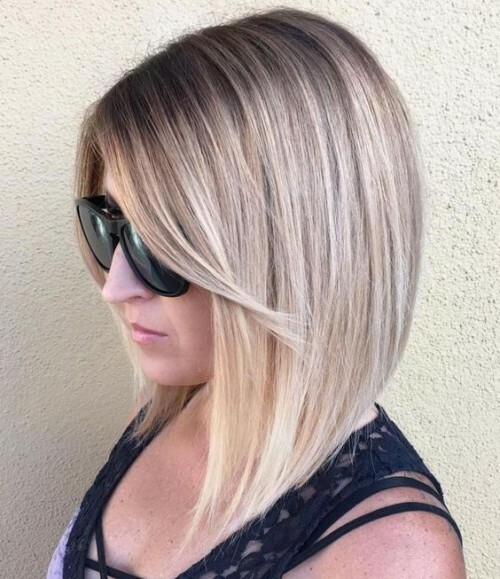 Dark colors are great for masking fine hair. And adding blunt ends will give your hair a thickness like it’s never had before. We love it and we are sure that you will, too. 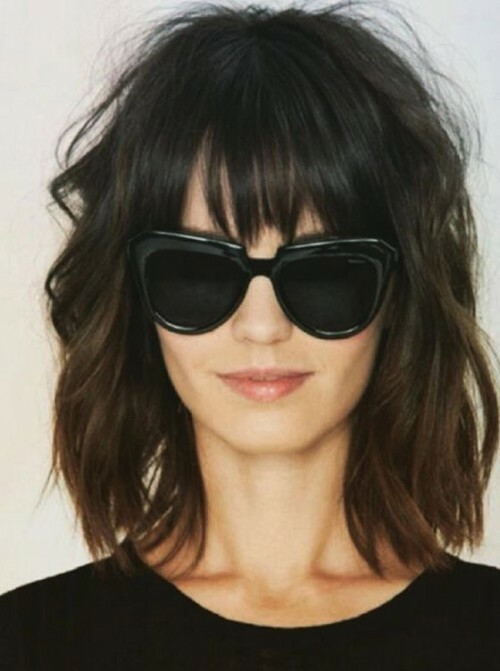 A blunt bob with bangs has us overjoyed. It’s a beautiful, sophisticated style. There’s nothing that we don’t like about this style! 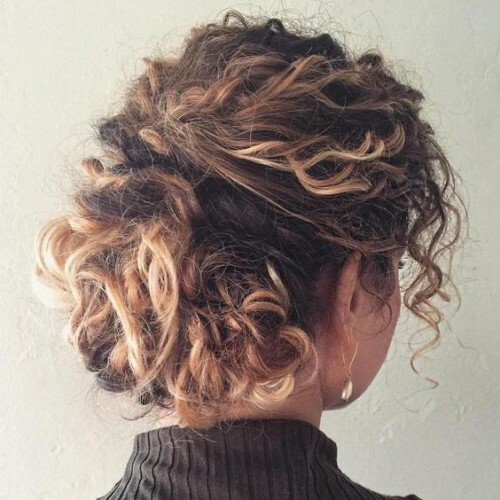 Fine hair is tricky to deal with, but not when you have amazing hairstyles like this to help cover it up! The long bangs are perfect for tricking the world into thinking you were born with more hair than you really were. 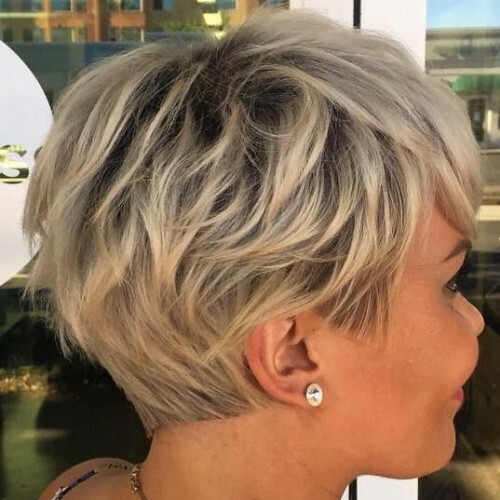 We love this short textured haircut with the shadow root. It gives layers, depth and a little bit of volume all at once. Shadow roots are amazing for adding depth and we think you should try it out if you have fine, thin hair. Braiding is an awesome technique to use when you have fine hair. Braiding in the front can make your hair look fuller than it really is. Side swept bangs will help make all your thin hair worries melt away like butter. They really do make your hair look thicker! It’s truly amazing what a simple trim can do for you. Face framing, chin length hair can only help you when you’re struggling with not being blessed with lucious locks. People will think that you purposely cut your hair thin to help frame your face! 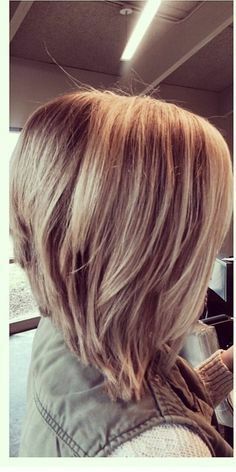 We know, we talk about depth a lot, but we feel it’s important to find a style that potrays a lot of depth if you want to give the appearance of having full hair. Highlights will help you get the depth that you desire. 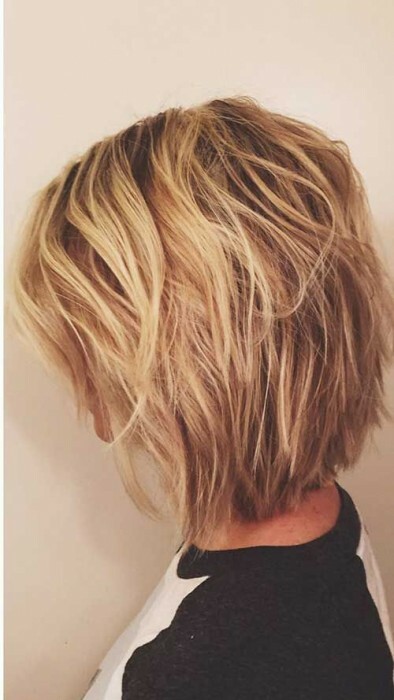 An a-symmetrical bob is where one side is longer than the other. It’s a very modern look. And the braids added in are just super duper cute! 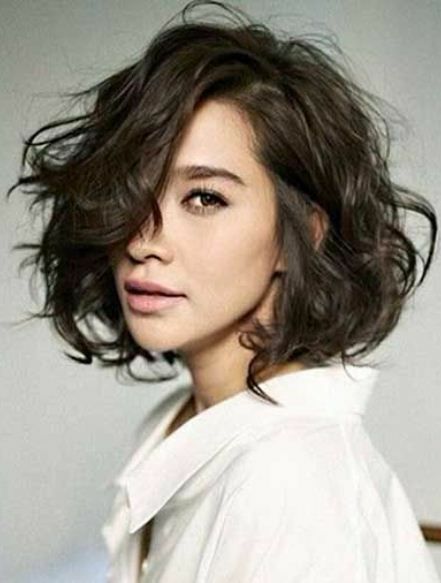 We love this look for fine haired women everywhere! Spiky styled hair will give you the texture you need to make your hair appear thicker! It’s one of the best solutions for thin hair troubles. When you are really feeling down and insecure about how thick or thin your hair is, give it a good curl! Yup! It’s that easy. Curling your hair will give it more volume and that’s really all you need to boost your confidence again. There are so many different types and variations when it comes to bobs. 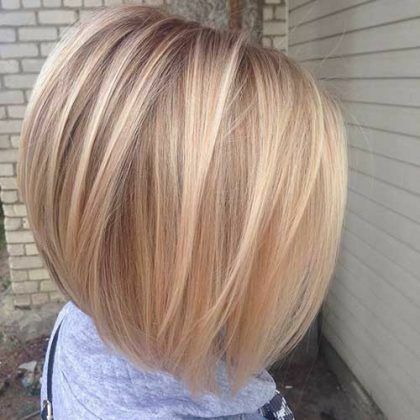 But it’s also okay to just keep things simple and opt for a symmetrical bob, too. Let your edgy side show by sporting the faux hawk. Named because of it’s resemblance to the mohawk. But, trust us, this one is much much cuter than any mohawk that we’ve ever laid eyes on. Lowlights, like highlights, will help add depth to fine hair to make it appear more voluminous. Black clothes might make you look thinner, but black hair will make you look thicker. Which is just what you want when it comes to disguising thin hair, right? Right! So give it a shot and see what you think. It’s easy to draw attention away from the volume of your hair. How so? Do something crazy with it! No one will notice how thin your hair is if you have crazy colors all over the place. And, c’mon, isn’t it just so pretty? Or you could embrace your fine hair and find a complimentary style like the one above. Which is fine, too. There’s no pressure to make your hair seem thicker or fuller. You could just show the world who you really are!